Top row (left to right): 1. David Sitton, 2. Cherl, 3. Joe Stayton, 4. Bob M, 5. Ann, 6. Tony Sage, 7. Brian Heath, 8. Linda, 9. Chris. Second row: 1. John, 2. Lisa Cobb, 3. Dicky Pierce, 4. Carol Sacket, 5. Larry Bennett, 6. Sara Adibzadeh, 7. 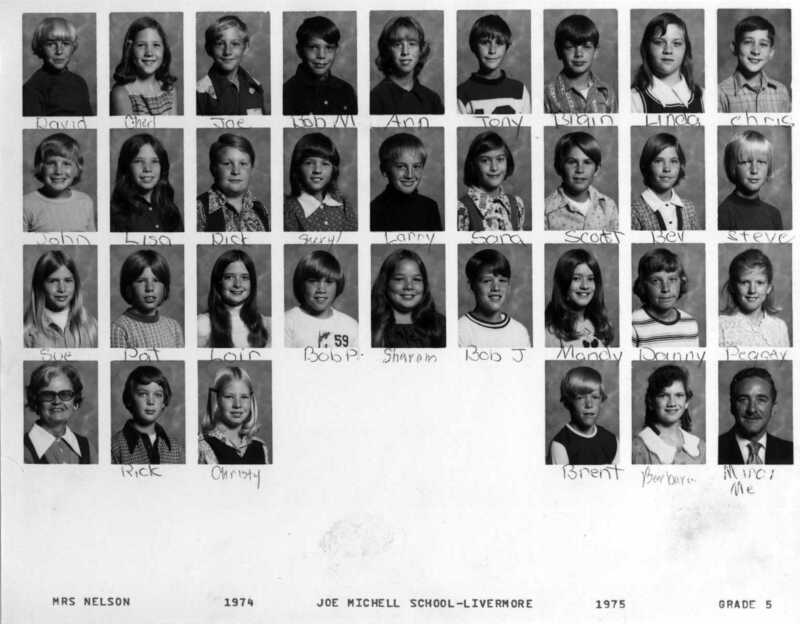 Scott Sweat, 8. Bev Linderman or Lindeman, 9. Steve. Third row: 1. Sue, 2. Pat Fitzgerald, 3. Lori, 4. Bob Peterson, 5. Sharon Quintoa, 6. Bob Jackson, 7. Mandy, 8. Danny, 9. Peggy Cope, later known as Denys Cope. Fourth row: 1. Mrs Nelson, 2. Rick Byrne, 3. Christy Dolstra, 4. no picture, 5. no picture, 6. no picture, 7. Brent Faulkner, 8. Barbara Soloman, 9. Mr Mercy.